The new Heart and Vascular hybrid Surgery Suite in Baystate’s Hospital of the Future expansion project represents the first phase of an extensive master plan that will added 36 new operating rooms to Baystate Medical Center’s campus. Designed to provide optimum flexibility and to serve a variety of patient populations, the surgical/endovascular suites in the Heart and Vascular Center can support the requirements of both traditional open surgical cases as well as fixed-image-supported endovascular care. 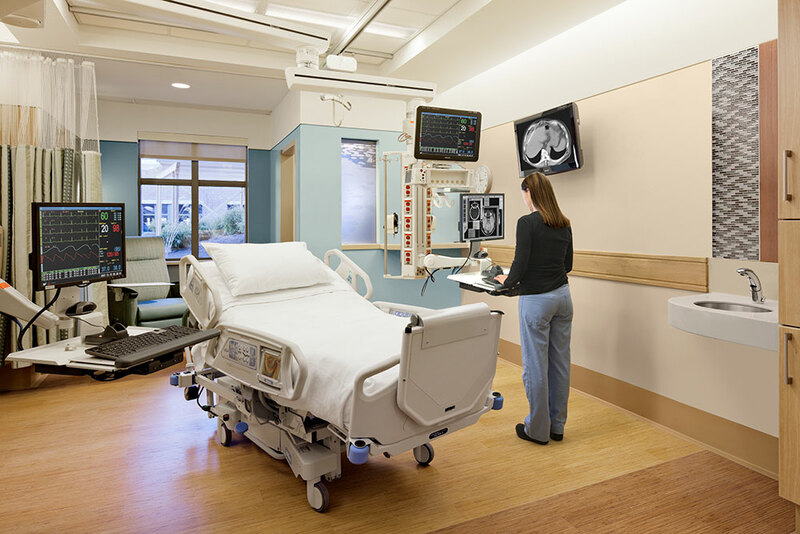 Design of the surgery suite rooms was meant to anticipate future disease treatment trends. In an intensely collaborative effort, the suite was developed by a multi-disciplinary team of surgeons, cardiologists, interventional radiologists, IT and work redesign experts in order to ensure that the suite can accommodate the needs of a variety of interdisciplinary operations and procedures. The guiding principle for the space ensures that patient-centered care remains at the heart of all decision-making for the new space.